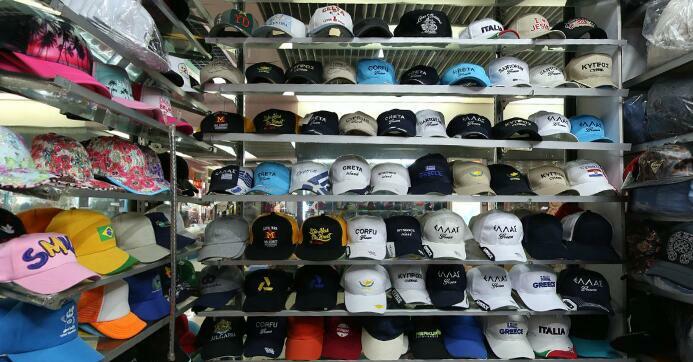 - By Lisa Lee, a sourcing professional for hats & caps in Yiwu market since 2012. 1. 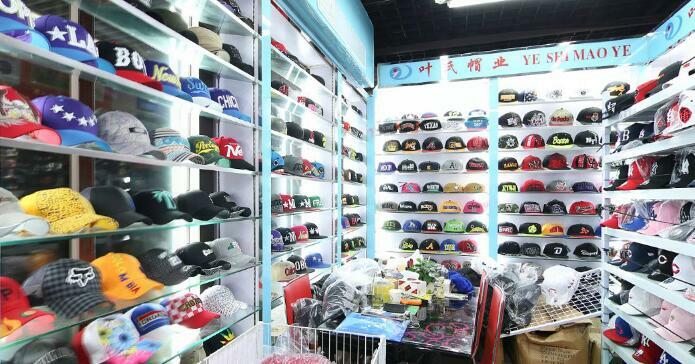 Why visit Yiwu market for hats? 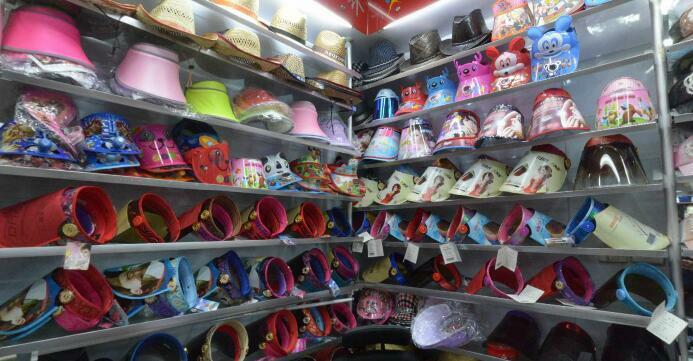 Shandong (mostly Tsingtao), Guangdong and Zhejiang are the 3 places produce hats in China. 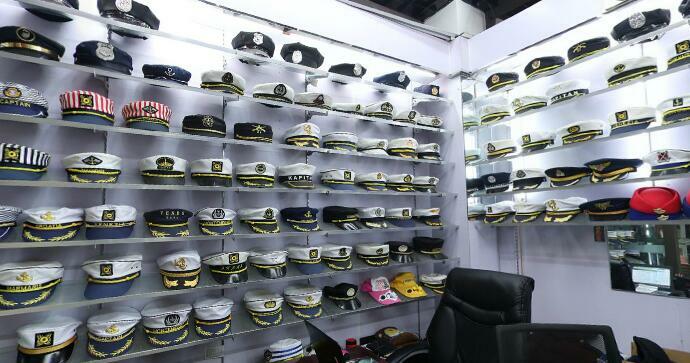 But there is ONLY ONE PERMANENT trade show in China for hats and caps, which is this - Yiwu hats and caps market! 1,000+ showrooms display samples from all over China, which makes it super easy for buyers to make seasonal collections by picking up existing designs, revise existing designs, or make complete new designs. Buyers don't need to spend days travel from place to place. Yiwu is THE PLACE. 1,000+ showrooms make variety here beyond your imagination. 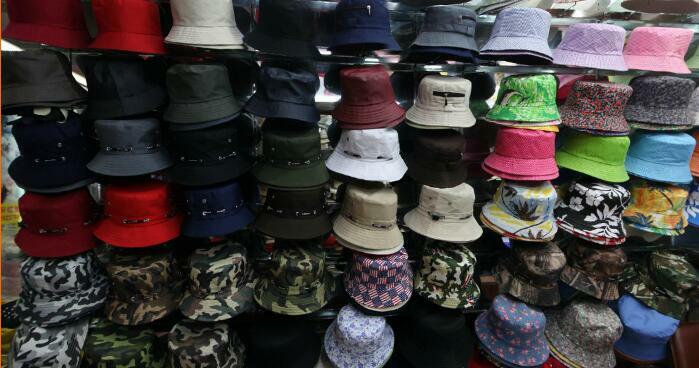 What hats are in your mind now...ALL can be made from this market, if not found in this market. 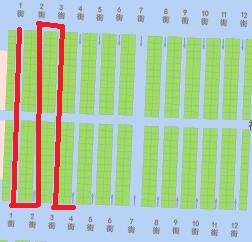 2nd floor, gate 84 - gate 92, district 4 of Yiwu Futian market. Total over 1,000 showrooms. 4. How to walk this market? To walk in a place of 1,000 showrooms without getting lost nor missing something important - is always a big challenge for new visitors. Walking in an S shape route can help you keep your own direction, and cover most of the market at the same time. 5. How long does it take to browse? Spot designs, feel quality, revise styles, ask price, take photos, make notes. It can take a whole day to finish browsing. If you want to place some orders on spot, you'd better prepare 2 full days. If you want to make up a full collection for your season, while, better have 3 days at least. 6. 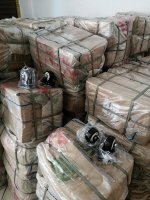 What are the minimum order quantity and lead time? A general idea would be 300pcs/color. Deliver in 3-4 weeks. Buyers can also find stock and inventory sometimes wirh some stores. No minimum order quantity. We have customers from US that we need to meet their quantity: 50, 100, 200… Factories can also make. It can end up with higher prices and longer lead time. 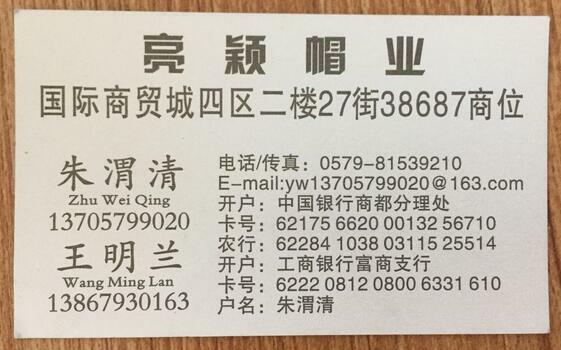 Based on a market that connects hundreds of factories, I professional agent can always work out a best solution for customer’s demand. 7. Why different price for a same hat? 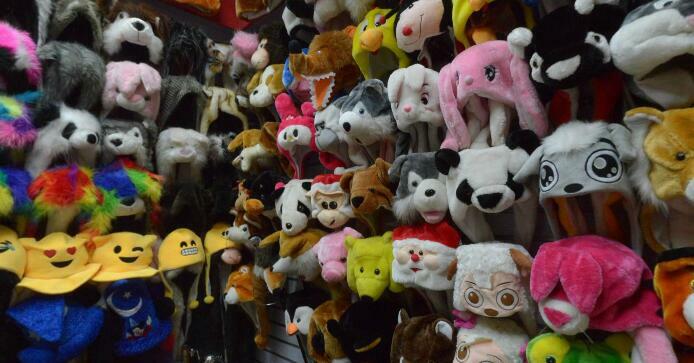 Yiwu market can meet almost any target price. However, as an old Chinese saying: "one cent price, one cent quality", which means price and quality are always go together hand in hand. You can never expect a very good quality with a very cheap price. Not here. Because this is a free market. Competition makes the price very transparent. Are they going to use a thin flimsy carton or a strong carton? Are they going to pack a 15kg carton or 30kg carton? Are they delivering in 2 weeks or 4 weeks? These will all affect the final price. A good price is only good when you get what you ordered at your time. 8. Why many stores having the same product? 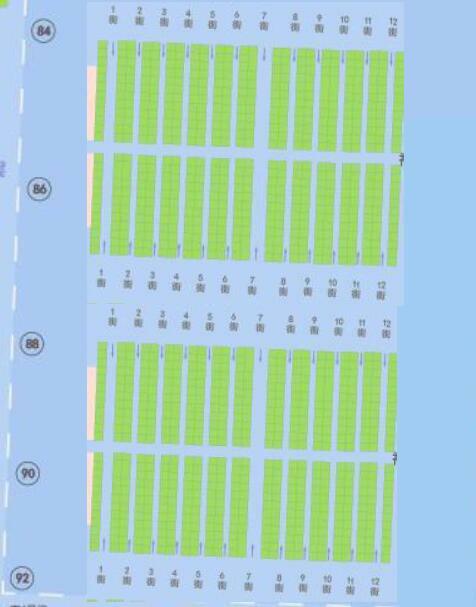 First, it is not realistic for each store to have their own design. Only about 30% of the stores are factories, the rest of them are all middlemen. Middlemen has a middlemen function. Middleman makes your job easier by collecting samples from different factories. They can use the manufacturing resources they built over years to help buyers get what they want in a short time at an acceptable cost. This makes it very easy for buyer, especially for small or medium size buyers to see a big variety of different samples within one showroom. More middlemen get more and more same samples. 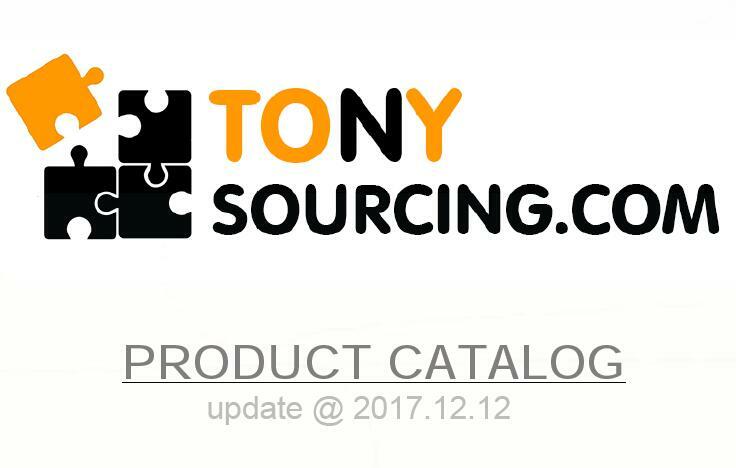 Secondly, for factories that don't have a showroom in the market, they usually send samples to several different showrooms in the market to get their samples displayed. This is easy to understand, the market is huge. More exposure means more orders. Thirdly, for some bestselling designs or styles, different factories will also copy the same product or make very similar products. 9. How to know a showroom is a factory not a middleman? First, see what samples are inside their showroom. If all the samples inside the store look like they are from one factory, then they are most likely a factory. For example, a factory that makes straw hat may only display different straw hats inside their showroom. 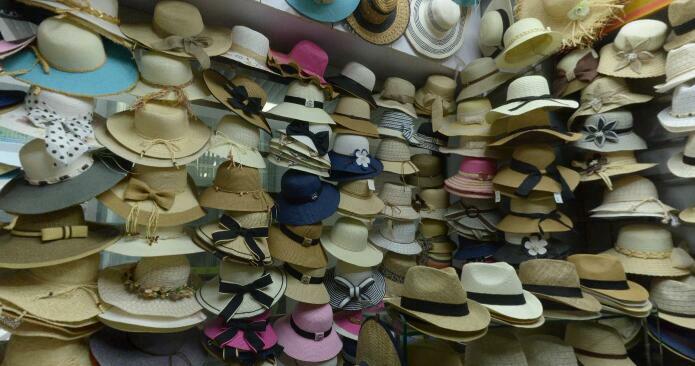 If you see cashmere hats inside a straw hats showroom, then this showroom may not be a factory. 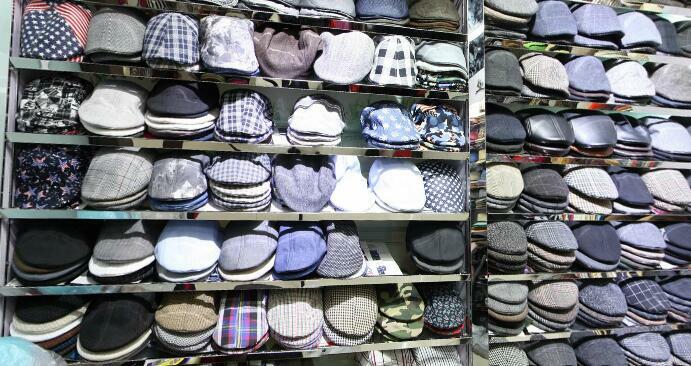 Generally, a factory only makes a certain type of hats. Their machines are only for a certain type of hats, and their workers are only good at a certain type of hats. Secondly, see their name cards. If there is specific factory address, then most likely it is a factory; if the address is too general, then it can be a middleman. 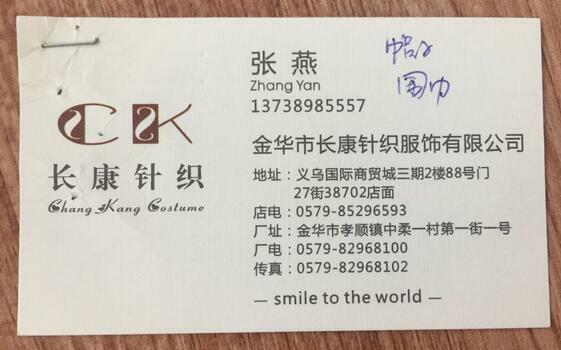 hats supplier name card without specific factory addr. 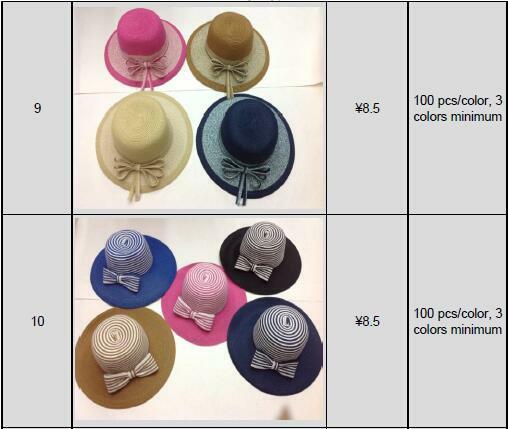 hats supplier name card WITH specific factory addr. Thirdly, ask if they're OK to accept visit their factory at anytime. For a factory, they are more likely to agree. For a middleman, it takes them more steps to notify the factory. 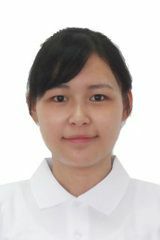 Lisa has been working in Yiwu market since 2010 as a sourcing professional. She helps overseas buyers buy from Yiwu market . *Click to free download paper straw hats price reference at Yiwu market, China. PDF. Yiwu Hats and Caps Market. Promotional caps in Yiwu China.